Dubai: It was a one-two punch that turned the Malaysian ringgit into Asia’s worst performer this month. Market data services provider FTSE Russell said on Monday it may drop Malaysian debt from the FTSE World Government Bond Index, due to concerns about market liquidity, roiling the nation’s currency and bonds. And less than two weeks ago, Norway said its sovereign wealth fund will cut emerging-market debt including Malaysian securities from its index. “The risk of dropping Malaysian bonds from the flagship index seems more likely than not, in our view, unless fundamental changes are made to improve Malaysia’s market accessibility level,” said Winson Phoon, head of fixed-income research at Maybank Kim Eng Securities Ltd. in Singapore. The move threatens to put more pressure on the nation’s markets, with the stock index underperforming every major benchmark in the world this year. If Malaysia is dropped from the FTSE gauge, bond outflows may total almost $8 billion (Dh29.3 billion), based on its weighting of 0.39 per cent and IMF’s estimate that $2 trillion track the index, Morgan Stanley said. The ringgit fell for a second day on Wednesday, and reached 4.1455 per dollar, its lowest level since January 25. Yields on the benchmark 10-year bond climbed two basis points to a one-month high of 3.85 per cent, while the stock index also declined for a second day. Sizeable bond outflows may hurt Malaysian equities, which have a correlation of about 87 per cent with the ringgit, Morgan Stanley analysts Sean Gardiner and Aarti Shah wrote in a report. Foreign outflows reached $504 million so far this year, the most in Southeast Asia, compared to $2.3 billion of government bond inflows, the analysts wrote. Euphoria about Malaysian stocks has faded after almost one year since Prime Minister Mahathir Mohamad’s surprise election victory in May, as the new administration struggled with the debt liabilities from the previous government. The nation’s bonds had just capped a fourth month of gains in March on expectation that the central bank may cut rates as early as May. Bank Negara Malaysia pledged last month to keep monetary policy accommodative as global risks weigh on the trade-reliant economy. 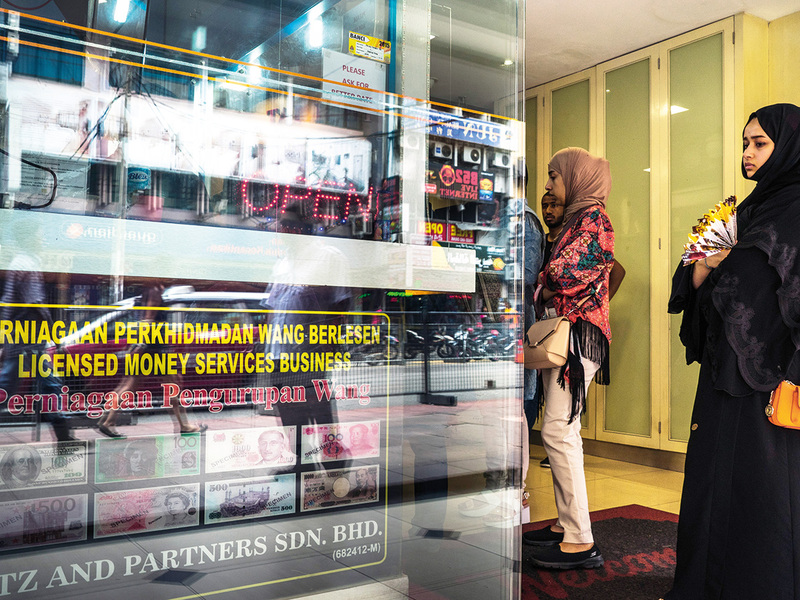 “Foreign bond inflows have been buttressing the ringgit of late as the market has started to price in the possibility of a BNM rate cut at the next policy meeting,” said Stephen Innes, head of trading and market strategy at SPI Asset Management. Foreign investors have been reducing their Malaysian government bond positions since late 2016 and held about $37 billion of the securities as of March, Min Dai, a Hong Kong-based strategist at Morgan Stanley, wrote in a report.